Jurgen Klopp says Liverpool will fight hard this season but insists his side are like "Rocky Balboa" and remain underdogs in the title race. Liverpool have spent in excess of £170m bringing in Naby Keita, Fabinho, Xherdan Shaqiri and goalkeeper Alisson, creating an expectation that they could be the closest challengers to defending champions Manchester City this season. 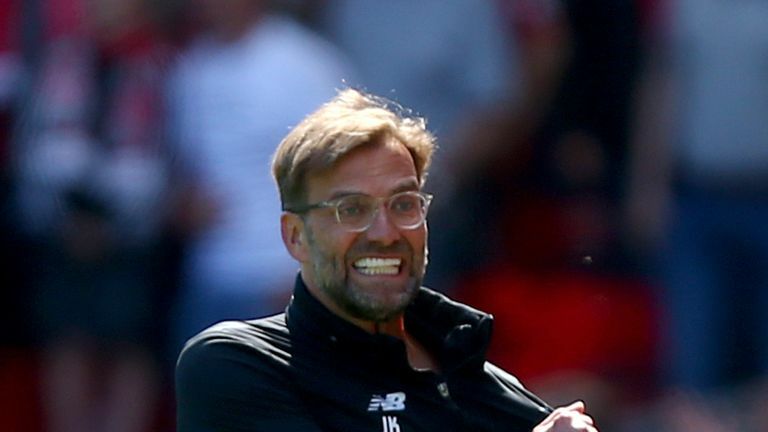 But speaking ahead of Sunday's visit of West Ham - live on Sky Sports on Sunday lunchtime - Klopp says his side remain underdogs in the race for the Premier League title. "We have to be more consistent, that's how it is. We know that. We have to be more clinical and more aggressive in the right moments.," the Liverpool boss said. "There are a lot of things we can improve offensively and defensively. We need to improve everything. "You ask me about the gap with City. We had three points from City [when we beat them in January] and they had three points from us [when they beat us in September]. "But it's not only difficult for us, it's difficult for the other teams as well. "We have to be in a championship mode. It's like you jump into the water, you dive in and we go for it until we don't have air or oxygen anymore. That's the plan to really go for it. "A lot of people think because we were active in the transfer window we will [be City's biggest challengers] but that's all part of the business. That does not decide anything. "The champions are Manchester City and they didn't lose any player and brought in [Riyad] Mahrez so they are not weaker. We saw the [Community Shield] game against Chelsea and both sides were impressive. "We are still Rocky Balboa and not Ivan Drago. We are the ones who have to do more and fight more. That must be our attitude." West Ham are managed by former City boss Manuel Pellegrini, who has spent more than £100m to try and revive the fortunes of the Hammers, who finished 13th last season. Klopp expects a tough test from a new-look West Ham this weekend and insists Liverpool will not take the challenge posed by Pellegrini's men lightly. "Manuel is one of the most successful managers on this planet. He knows how football goes and is a good tactician and a really good coach," Klopp added. "He has brought in good players and if you go through the team of West Ham it could be a completely different team. It could be Arnautovic, Yarmolenko, Anderson Wilshere, Noble, [all lining up] Cresswell back - that is a good football team. "They are really ambitious but It's the first home game for Liverpool and people expect us to win. I expect the same. It will be a brutal 90 minutes. We have to be ready for that but it is easy not to underestimate them. "It's the first game of the season so no analysis really exists. You have to think who will play or not. For the first games it's always like this, but it's no problem. I'm looking forward to it."